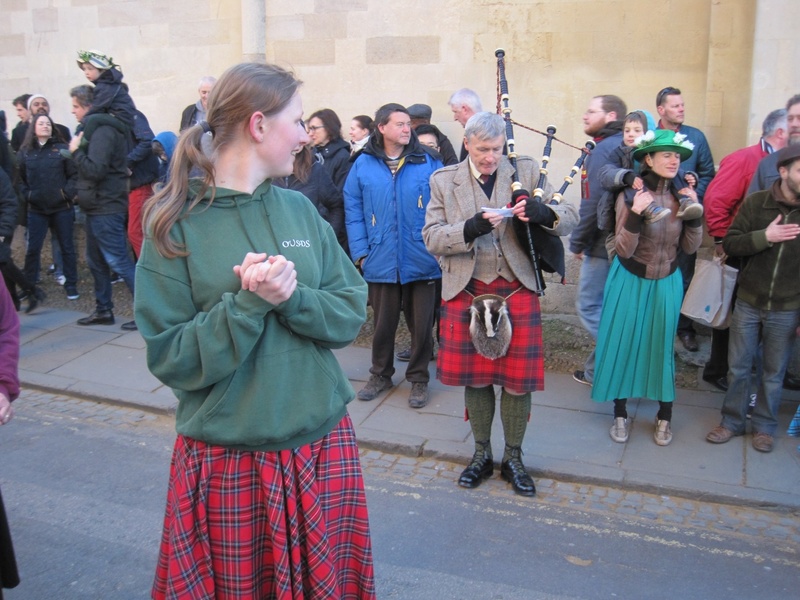 Highland dancing can be seen around 6-7.30 am in Radcliffe Square, just outside All Souls. 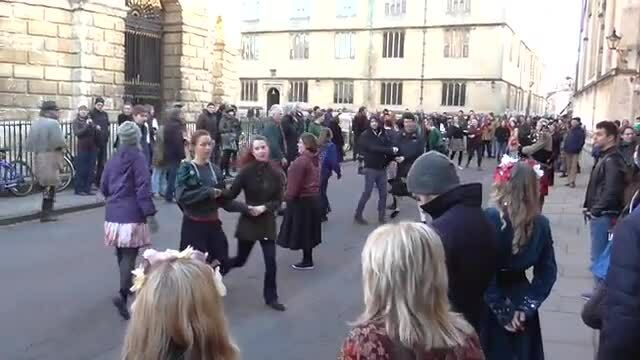 It is organised by the Oxford University Scottish Dance Society. Pipe Major Roger Huth supplied the music on May Morning 2016.